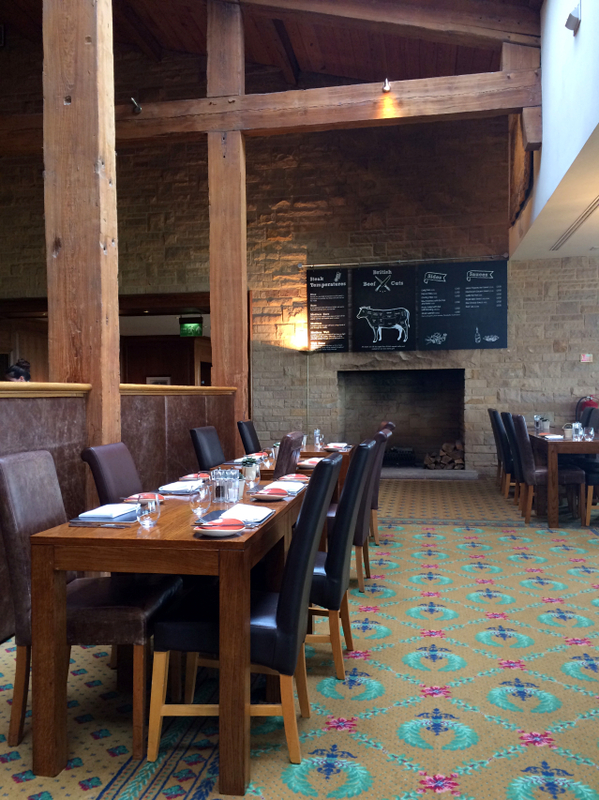 I've visited Celtic Manor a number of times, but hadn't yet experienced their Sunday Lunch. A few weeks ago, a few friends were down in the area for a stag do with Mr P, so accompanied with the ladies we had a few rounds of (crazy, obviously) golf and then headed over to The Grill for lunch. This was the first time we've experienced The Grill, as we've usually leant towards the Rafters restaurant on previous visits. 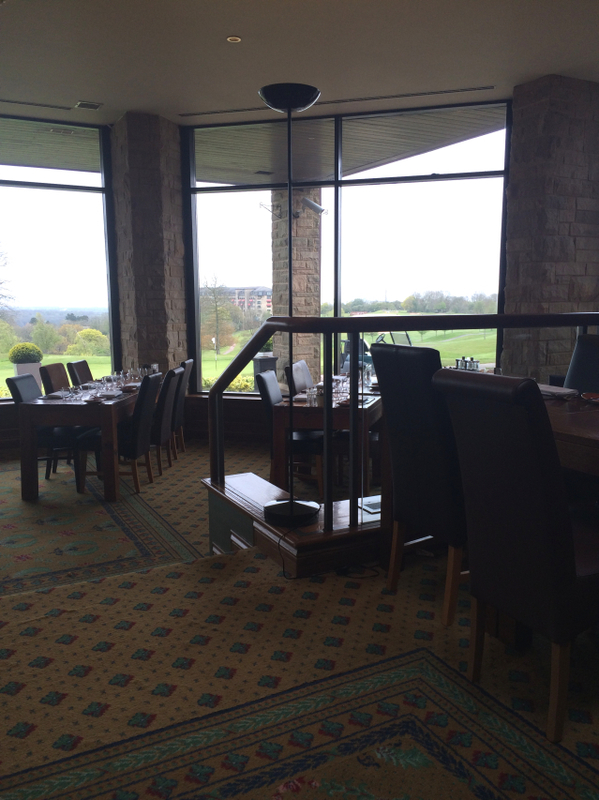 The Grill is the clubhouse restaurant, which overlooks the Roman Road golfcourse. That doesn't mean a lot to us non-golfy people, but it is a pretty view nevertheless, even on the grey and drizzly day that we had. Although named 'The Grill', the menu is pretty extensive, including burgers, salads and pastas amongst the meaty grill offerings. A couple of the party had these options, and they looked quite good, but we're here for one thing only guys. Winner winner, chicken dinner. 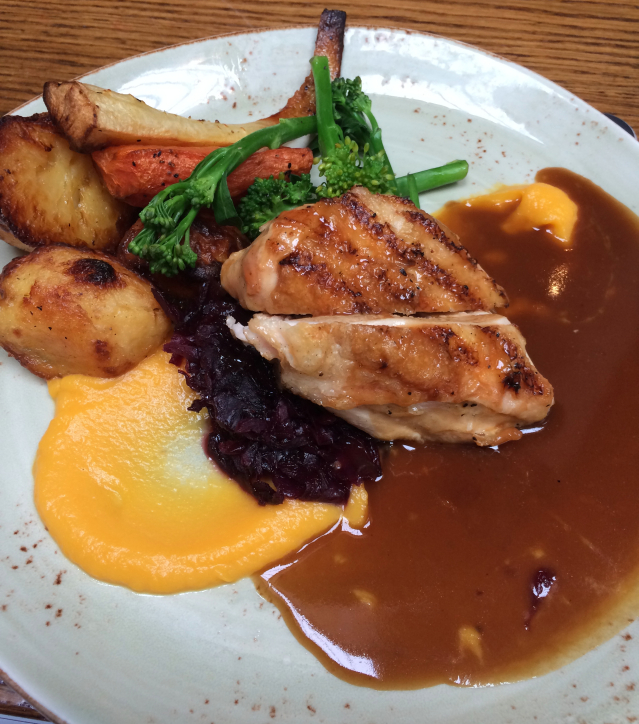 A juicy chicken breast with a charred crunchy skin was placed upon a pile of wonderfully fruity red cabbage. I absolutely love red cabbage on a roast but unless it's Christmas it rarely makes an outing, so I was happy to see this. Coupled with a handful of roast veggies and a purée, made for quite a sweet dinner. The two roasties were pretty much perfect in my eyes, with the ideal crunch to soft ratio (I know, I'm becoming a real potato nerd). Chicken gravy is never going to be the star of the show, but even so I could have done with a little more than the spillage that we got. No jug means a docking of the points I'm afraid. However, at £16.50, it made my eyes water just a little. I'm well aware that this is the Celtic Manor etc, and I didn't go expecting 'Toby Carvery' prices or sizes. 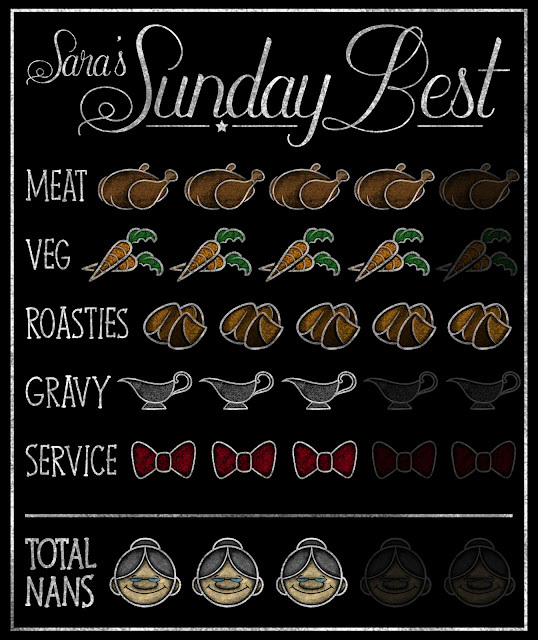 There was no extra gravy or vegetables, and as lovely as the chicken was, I did expect a little bit more. I can't help compare the fact that this one dish cost more than the entire 3 courses at The Ruperra, and the quality there was just as good, or even better. 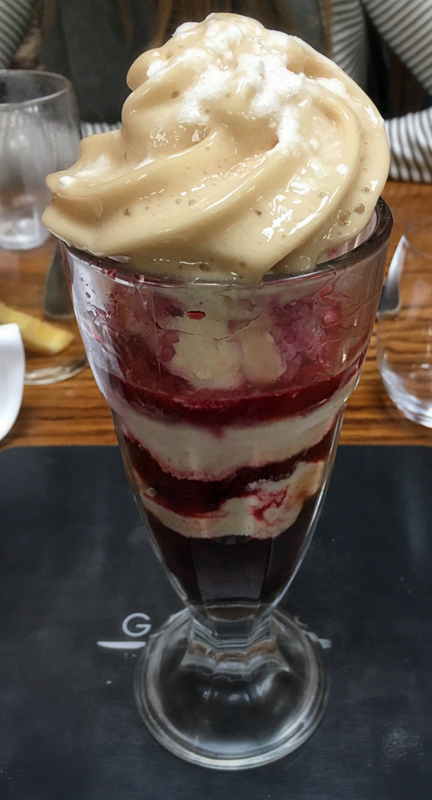 A few of us rounded off lunch with dessert, and there was one offering that caught my eye, the cola and cherry sundae. We ordered one, with a couple of spoons. Now this, was amazing. Drool worthy. The entire thing was like a cherry cola float, and I loved the retro sundae glass to go with it. Cherry ripple ice cream, with cola gel and cherry compote swirled through, topped with some kind of amazing fizzy cola whipped cream. No prizes for guessing whose spoon did the biggest damage. Hiding at the bottom of the glass was a glorious little chocolate truffle which burst full of cherry goodness when bitten into. This was a total dream of a dessert, and I'd happily pay the £7.50 for this again. It was huge, and easily enough for two people to share. Dessert just about saved the day for us at The Grill. Lunch was lovely but not spectacular, and the service could have been improved. As most of us were on driving duty, our drinks order was not complicated, but what we received was incorrect and it took a number of tries to get some water, and then the bill, to the table. Then there's the prices. 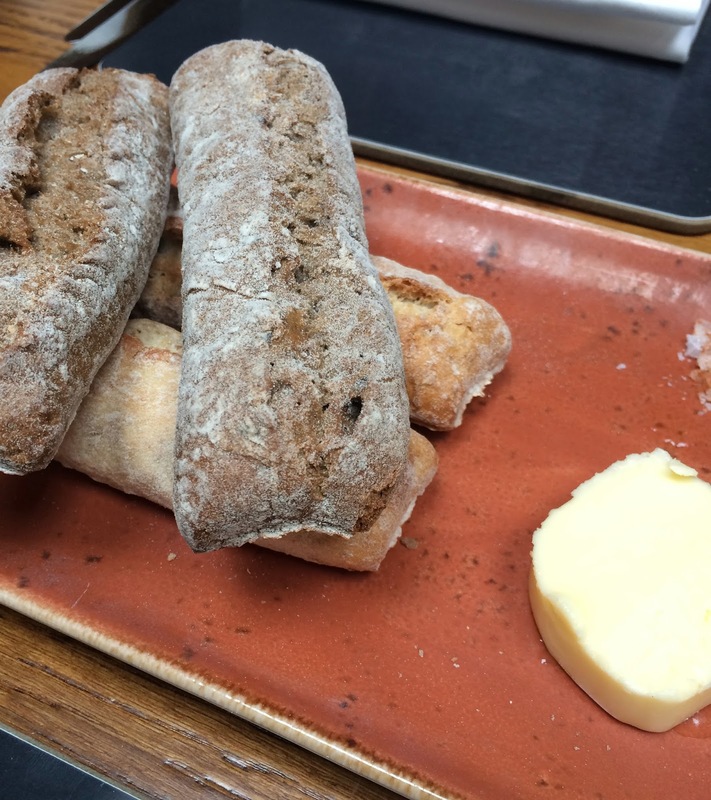 With barely a main meal on the menu for less than £15, it isn't very purse friendly. Add that to £3.60 for a pint of postmix Pepsi and £4.70 for a Fosters, it can easily add up for a family. Oh, and don't forget the 10% service charge added automatically to your bill (a huge bugbear of mine). Ouch. 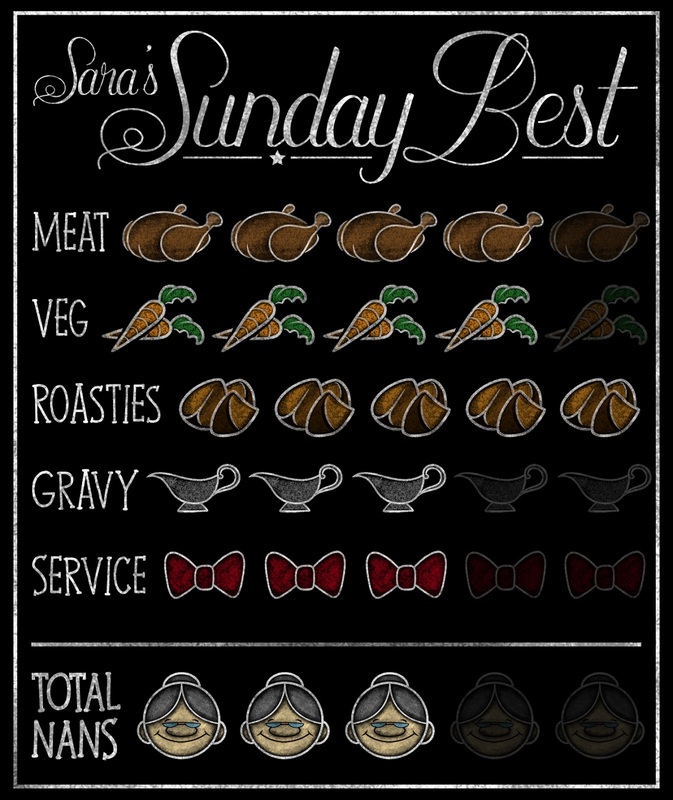 As a special evening meal, I think the prices could possibly be justified, but personally, there are much better Sunday lunch deals out there than at The Grill. 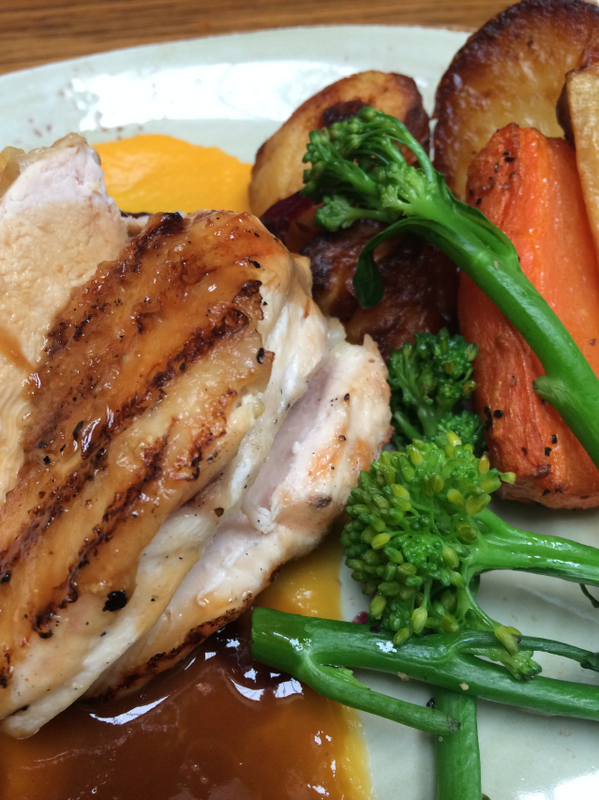 Even some of the other Manor restaurants offer a set menu Sunday lunch at much better value, so it's worth looking around first if you're after somewhere special.